The Company Helps Retailers Craft Online Offers And Incentives. Fanplayr Inc., whose technology helps retailers determine which offers and incentives to dangle before online shoppers, has raised $2 million in a funding round led by Denali Venture Partners.Fanplayr, which also provides online coupons and games used in social networks, said the capital would enable development of its mobile platform and expanded distribution of it products. Fanplayr says its tools integrate with such e-commerce software and technology providers as Magento Inc., Shopify Inc., Zen Cart, Presta Shop, Lemonstand and WordPress. 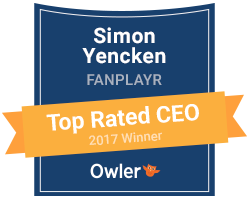 Denali chairman Richard Cawsey joins Fanplayr’s board.